smw, slt has been on a bit of a holiday back home in northern California. Here in the US I’ve enjoyed the antics of the current republican presidential front-runner – ah, such inanity. Back in Haiti where my work remains, tomorrow will be the first round of elections in what bids to be a remarkable election year: the last time Haitians went to the polls was not long after the earthquake, in late 2010. A president was elected then in a second-round run-off, with substantial and documented influence from the US and the OAS to eliminate one candidate and include that eventual winner in the second round instead. The government led by that president has not managed to realize municipal or legislative elections since then. They’ve been scheduled more than once in past years, but always cancelled before happening. With no electoral mandate remaining, parliament was dismissed in January and the president is ruling by decree, with a stated goal of using that power to ensure elections happen this year before his own electoral mandate runs out. Tomorrow is the first round for 2/3 of the senate (1/3 of them apparently still have legitimate electoral mandates, or some kind of special deal), and all deputies. I’ll fly back on Tuesday, and am following this from a distance with interest. If the schedule goes as planned, late October will be an even bigger day: second round for these candidates (where no one wins a clear majority), first round for president, and the only round for all the mayors and other municipal posts that have been filled by appointment rather than election since their own elected terms have run out in recent years. 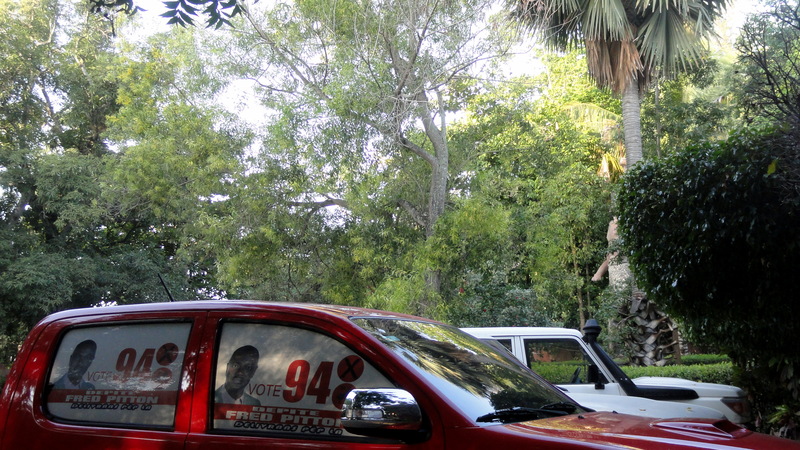 Campaign graffiti on walls has been omnipresent in Port au Prince for months already, but formal posters and billboards started springing up everywhere, about a month ago when the official campaign season started – I think July 9 was the date. I’ve really enjoyed watching all the many posters pop up, seeing all the graffiti, and realizing how similar the political slogans are to what I’ve seen in any country anywhere. (My favorite, not yet captured on camera but I’ll try when I get back, is the female candidate for a post in the Western Department of which PaP is part, whose slogan is “Les actions parlent plus fort que les mots ” — actions speak louder than words. I wonder what those actions will/would be if she’s elected!) I really hope that this big electoral season manages to happen fairly and without any major violence or problems, and thought maybe some of my readers would enjoy seeing signs of the season from Haiti, even though I didn’t get as many or as much variety as I’d have liked. This entry was posted on August 8, 2015 by somuchworldsolittletime. 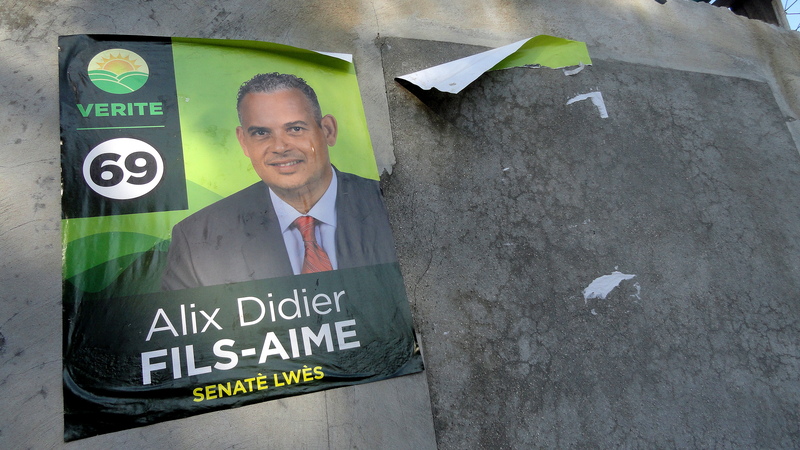 It was filed under Centre Department - Hinche, Haiti, Port-au-Prince and was tagged with haiti campaign posters, haiti elections, hinche, port au prince. Thanks for these pictures Paul!